Balanced is Painless: Kata's Way™: How to treat "Frozen Shoulder"
How to treat "Frozen Shoulder"
Frozen shoulder can be extremely painful condition and it takes years to heal! So, if you have any pain or ache in your shoulder, at the proximal end (close to shoulder) of humerus or on the top of your collar bone, please, go get help before it gets worse! The first signal for any conditions in the shoulder area is restricted movement while reaching back (like trying to zip your bras) and reaching up (trying to reach something from the top shelf). Shoulder issues always take months to develop. Sometimes the 'beginning' of an issue might be an injury, but the fact is that frozen shoulder won't be a simple result of that, although the injury will speed up the worsening of the situation. 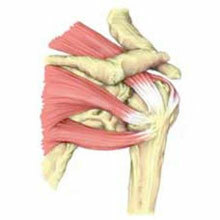 With the shoulder issues, every other muscle and joint (and tendon, ligament and nerve) of the upper body are impacted. So the treatment protocol includes a wide variety of work in the whole body. From my point of view the muscles need to be RELAXED before they can be stretched and/or strengthened, so the first weeks of treatment plan WILL NOT include strengthening or stretching (that will be extremely important later). This client has a full range of motion in her shoulder! Here's an example of the process of healing the frozen shoulder in 3-4 months. Be informed, that 3 or even 4 months protocol is only an example, and each and every situation is different depending on how bad the tendinitis and inflammation are in the beginning of the process. With extremely painful situation we need to wait things to calm down before we can actually start the movement therapy. If you are also seeing your physical therapist, my protocol will need to be cut to a half to make sure that the shoulder won't be exercised and treated too heavily (that would keep the inflammation going in which case no healing can happen). 1st and 2nd week: 2 times 60 mins every week to evaluate the situation and educate you about the meaning of upper body's impact to the shoulder. 3rd and 4th week: 2 times 45 mins every week to gently open up muscle tightness 360 degrees on the upper body. Starting a movement therapy if pain allows. 7th and 8th week: home stretching (or physical therapy) and a careful assessment of the lower body's impact to the whole body situation. 75 minutes whole body treatment each week. 9th to 12th week: depending on how much imbalance needs to be worked on the lower body, I would suggest to meet you 2 times every week for 30 minutes session OR one 60 mins session once a week depending on your situation. Some cases at this point I suggest 2-4 weeks break on the treatment and re-evaluate the process after the recess. I also highly recommend maintenance plan to keep the shoulder in a good shape and to prevent the other shoulder from facing any issues. As I already mentioned, all the situations are different and many variables needs to be taken into account, but with a lods of information, self-help, stretching, exercising and being open-minded when NOT to exercise but wait for the inflammation to calm down, I have been able to help my clients to recover from adhesive capsulitis in 3 months! When this happen, I feel deeply satisfied on the field of the treatment I have chosen. I still need to remind you, that my treatment is completely painless and still effective! Because that's Kata's Way and Balanced is Painless. P.S. I do NOT take insurance and the value of the protocol I just described for 4 months is $1230. With my payment plan you could save up to 15% when paying each month ahead of time, but I won't accept 4 month payment ahead since we can't tell how the treatment plan develops in your special situation!